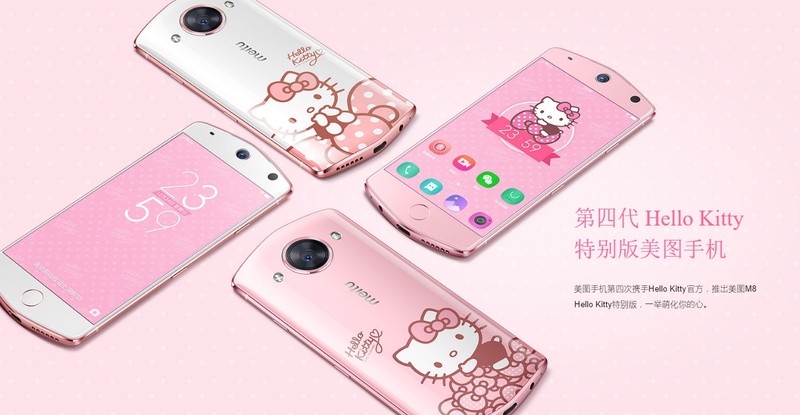 Meitu, the Chinese company behind that viral selfie app that may or may not take all your personal information, just released the M8 and upgraded Meitu T8. The company’s phones are known for letting its users take the most extra selfies, as seen on Ashley’s review here, where she says it gave her “baby skin.” And it’s definitely equipped to do so — the Meitu M8’s front-facing camera is a 12-megapixel Sony camera, with a 21-megapixel Sony rear-facing camera. It also has a 5.2-inch display, 4GB of RAM, a Helio X20 processor, and a 3,000mAh battery. The phones will go on sale this Friday at noon on the official website for ¥2999 (around $435), and only 10,000 units will be available.